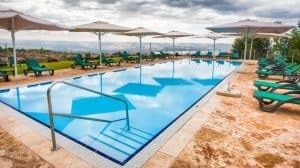 The Vered Hagalil Hotel is located high on the mountain, occupying huge grounds and offers excellent leisure facilities. 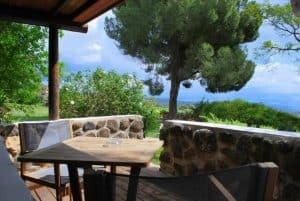 This unique hotel is a great spot for those looking for an adventurous vacation.The hotel has its own professional ranch for horse back riding, excellent hiking trails as well as a tour desk for active excursions on a 4-wheel-drive vehicle in the surrounding area. 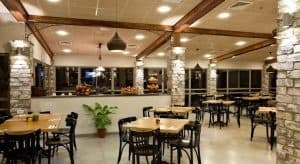 The hotel has an excellent and well known restaurant with magnificent views of the Golan Heights, serving non-kosher cuisine. 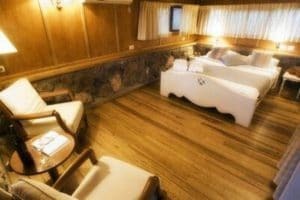 A variety of professional massages can be booked at the treatment centre. 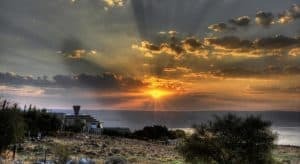 Vered Hagalil is within minutes of many attractions such as Tiberias, the Sea of Galilee, the city of Rosh Pina and Safed.